Audience: SENCos and/or members of the SLT. Time: From 9.00 a.m. – 4.00 p.m. This course is being funded by DSPL3 and lunch is provided. Participants will be expected to submit a brief report at the end of the summer term 2019 outlining three tweaks/changes that have been made as a result of attending. Schools currently signed up to attend are All Saints CE Primary School & Nursery, Bayford C of E Primary School, Bengeo, Chauncy, Christ Church C of E Primary and Nursery School, Freman College, Hertford Heath Primary School, Hockerill, Hollybush Primary School, Mandeville, Millfield, Priors Wood Primary School, Richard Hale School, Sacred Heart Primary School, Simon Balle All-through School, St Andrew’s CE Primary School (MH), St Mary’sJunior School, Stapleford, Summercroft Primary, Tewin Cowper, Thorn Grove Primary, Watton-at-Stone Primary School and Windhill21. Time: 9.15 a.m. – 2.30 p.m.
Weds 15th May Bookings open 28th March, please do not attempt to apply for the course before that date as your application will be ignored. Weds 26th June Bookings open 16th May, please do not attempt to apply for the course before that date as your application will be ignored. In partnership with the Educational Psychology team, we are running some Circle of Friends training at Ralph Sadleir School, Puckeridge from 9.30 -11.30 a.m. on Wednesday 6th February and Hollybush from 1.00 – 3.00 p.m. on Wednesday 27th February. 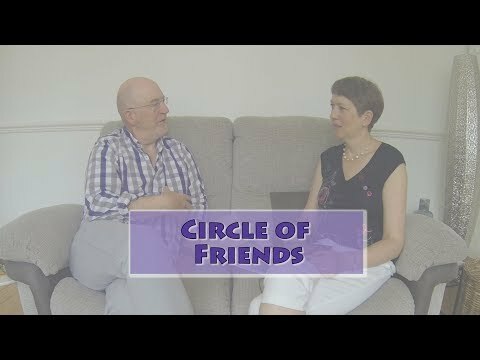 Circle of Friends is a peer support intervention, aimed mainly at Key Stage 2 and above. It aims to focus the inclusion of a young person who is experiencing difficulties at school, typically around challenging behaviour and friendships. Initially, it aims to build awareness of a child’s difficulties to the whole class, discussing how they might feel in school. Then volunteers are sought for a small group of support around the young person. These peers provide support and engage in problem solving with the young person with the difficulty, facilitated by an adult. Circle of friends is an approach to enhancing the inclusion, in a mainstream setting, of any young person, who is experiencing difficulties in school because of a disability, personal crisis or because of their challenging behaviour towards others. The importance of consent from the parents, young person and volunteers. Following the success of our first ENF Support Network meetings this half term I am pleased to let you know that dates have now been set for next half term’s meetings. Just to remind you, these sessions are for members of staff who provide 1:1 support for children. We appreciate that many of our schools provide 1:1 support without ENF funding and TAs who support in those situations are also welcome to come along. The TAs are welcome to attend whichever meeting/s that they would find useful. This is a 2-day course for anyone who lives and/or works with children, young people, or adults. The day sessions are separated by a week to allow time for reflection and practice. Places are limited to two per school/setting and there will be an expectation that each participant will produce a case study (no more than 2 sides of A4) during Spring Term 2017 that demonstrates the impact of the training in their school/setting. So far the following schools have signed up: Bayford, Bengeo, Birchwood High, Christ Church, DSPL3 SEN Outreach team, ESMA, Freman College, Hertingfordbury Cowper, Hormead, Little Munden, Mandeville, Morgans, Puller Memorial, Ralph Sadleir, Sacred Heat, Simon Balle All-through School, Stapleford, St. Catherine’s, St. Mary’s (BS), St. Mary’s (W), St. Thomas of Canterbury, Thorley Hill, Wheatcroft and Windhill21. DSPL3 is introducing half termly network meetings to support staff who are working with children on a 1:1 basis. This will mainly include children who are in receipt of ENF, but staff working with children whose ENF application was turned down at a Panel during 2017/18 are also welcome. Further information has been sent to SENCOs, but if you wish to apply for a place just click on the session you wish to attend. 2. Helping pupils to develop skills in these areas through an intervention to support maths problem solving. Participating primary schools would need to send two members of staff along to the training, one a TA who will be involved in the intervention and a second member of staff (SENCO, Senior Teacher/Deputy. Maths Lead etc) who will take responsibility for leading on the project. The expectation would be that the intervention would be started in the autumn term, with school’s submitting a case study just before Christmas. Whilst the intervention is for primary aged pupils, Nikki feels that attending the one day course would be useful development for secondary TAs who support in maths lessons. Secondary schools would be welcome to send one or more members of staff on the course. The training is from 9.00 a.m. – 3.30 p.m. on Tuesday 26th June at Wodson Park, Ware. Lunch is provided. Course Title: Understanding and Including the Child with Dyspraxia /DCD plus Handwriting Training. When: Thursday 26th April – 9.30 – 3.30 p.m.
We have arranged a day of training led by Educational Psychologists to help schools prepare for the possibility of sad events or critical incidents affecting the school community. The day is split into two distinct sessions, and it is for schools to decide who are the most appropriate colleagues to send to each session. There is the option for morning attendees to stay/afternoon attendees to arrive early for a networking lunch. Please click here to apply for the course. The meeting is from 1.00 – 4.00 p.m. with a networking buffet lunch available from 12.30 p.m. Spaces are limited to 40 and will be allocated on a first come first served basis. Rationale: Considering that staff in schools are now more likely to be in contact with children with mental health problems, it is of the utmost importance that they receive appropriate training. Wellbeing in schools is a fundamental prerequisite for healthy and productive quality teaching and learning. Both children and teachers need to feel supported, fit and well to be inspired and inspiring. The Wellbeing Toolkit 2 is a programme of professional development to promote and maintain resilience and personal effectiveness. • The resilience snake – building resilience using key tools and positive psychology. Target Audience: This course is of particular relevance to all staff in the education sector who understand the importance of developing their own repertoire of skills and therapeutic tools for working with children and young people, but they also use these skills as part of their own approach to maintaining their own wellbeing/mental health. Delegate Resource pack will include: You will receive your own copy of the Wellbeing Toolkit 2, which includes all the powerpoint presentations that you can take back to your school and implement confidently. When: 29th November 3.00—5.00 p.m., 6th and 13th December 3.00—5.00 p.m. Using the existing resources within a team or network, staff can participate in this peer supervision group, focussing on an in depth discussion of a pupil and using an evidence based, holistic, solution-focused approach to respond to their needs. When: Thursday 7th December. The meeting is from 1.00 – 4.00 p.m. with a networking buffet lunch available from 12.30 p.m.
Our WellComm project has been very successful, with 90 settings already trained and using it. We have organised a training session in each term next year. The training will be for colleagues from the final thirty or so settings that are not yet signed up to our project and also for new members of staff in our current WellComm settings who have not attended any training and wish to do so. To complete a summary sheet outlining three changes that have been made in school as a result of attending the course and the impact of those changes, including where appropriate pupil voice about the changes. Time: 8.45 – 3.30 p.m. Expectation of attendees: Submit a very brief report outlining three changes that they have made in their classroom/school as a result of attending the course. This will be due 31st March 2017. 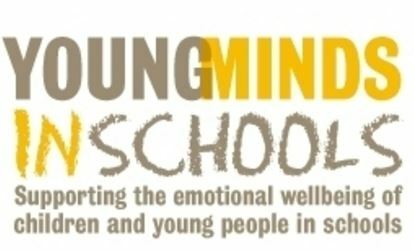 Due to demand we have organised further ‘Mental Health Awareness’ training that is being delivered by YoungMinds – we previously ran this course in Spring 2015, people who attended then should not attend again as it is much the same course. Click here to see list of schools that attended the training. The training is at Wodson Park from 9.30 – 4.30 on Thursday 1st and 8th December. This course is for anyone working with vulnerable and traumatised children and young people in an education setting. Participants will develop an understanding of the impact of unmet attachment needs and trauma on education throughout childhood, and will have an opportunity to reflect on what they can do to develop an attachment aware setting. The training is from 9.00 a.m. – 4.00 p.m. at Ware Priory on Wednesday 8th February 2017.